Our alumni have been in news for their contributions for the larger good of their companies, institutions, ventures, and society at large. You will find here repertoire of such news about our alumni. 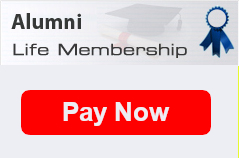 Our community of our alumni is large and we continuously seek inputs from one and all to share news on themselves as well as batch-mates and friends from the college. I belong to Mathura and have done my basic education from Mathura only. I’m 2013 batch Computer Engineering graduate from DCE. Post graduation, I worked with two startups for around 5 years as a software developer. In 2017 Civil Services Exam I secured 278th rank, on the basis of which I was allocated Indian Revenue Service(Income Tax). Currently, I’m undergoing training in Nagpur for Revenue Service. In 2018 Civil Service Exam I have secured 149th rank and expecting to get IPS. Credit for my success goes to my family, which supported me through all thicks and thin. Y P Chawla, Alumni DCEDTU 1971 batch is been Advisor, Joint Electricity Regulatory Commission, National Jt. Secretary Indian Institution of Plant Engineers (IIPE) BE Tech. & MBA (Fin), PGDPM & PGDMM from Delhi University. Export Mgmt.from Oxford.Pursuing PhD. in Skill Gaps in Power Sector. Over 4 decades of Experience in diversified sectors covering Energy including Solar & other Green / Renewable Energies, (Ex. BHEL), Water Sector. Joydeep Sengupta (DCE alumni, 1991 batch) is a director at McKinsey, based in Dubai office. He has been with the firm for over 10 years, serving clients in North America, Asia, and the Middle East. Joydeep has 20 years of experience overall in financial services, telecommunications, and manufacturing sectors. He is one of the leaders of our European Operations Practice, and is a faculty member of our Global Lean Management Academy. Raghav Sehgal DCE alumnus 2005, CEO and founder RXV.coRXV.co is a product by RxVault, NASSCOM Award winning Electronic Health data management platform founded by alumni from IIM Ahmedabad, ISB & Delhi College of Engg. in 2013. Our client list include major players in healthcare sector, like Fortis Healthcare, Max Healthcare, Religare Wellness, CDC etc. who have data of their 20,000+ patients online with us.RXV.co is a mobile app that enables patients to have 24x7 Instant & Live Video Consultations with doctors. Patients can also order lab tests and medicines, as per doctor’s digitally signed prescription, right from within the app. We are going to launch the app in mid-August with over 1,000 specialists from major hospitals, 200 pharmacies and more than 40,000 diagnostics testing centres across India as our healthcare partners for the app. DCE-DTU Alumni Andy Kalambi (Mech Engineering) CEO of RIZE INC got $15 million series B funding. Graduated in electrical engineering from Delhi College of Engineering 1991 batch.Starting at ICICI Bank in 1993, he worked through several banking roles till 2005, before he founded FINO in 2006. FINO is India's largest banking correspondent network serving over 70 mn customer.He is currently setting up YTS Solutions a venture focused on serving the banking deprived customers in India. Manish Khera was selected the Young Global Leader 2011, by the World Economic Forum. Now he has been appointed as CEO of Airtel money. Ambareesh Murty is the founder and Chief Executive Officer of the Pepperfry. He has graduated in Bachelor of Engineering in Civil Engineering from Delhi College of Engineering in 1994 and went on to do his Masters of Business Administration in Management from Indian Institute of Management, Calcutta in 1996.Pepperfry.com Today India's No.1 online Furniture, Home and Living destination, offering more than 45,000 products to spice up your home across categories like Furniture, Home Decor, Furnishings, Kitchen and Pet Supplies. DCE Alumni Dr. Rajesh K. Soin 1969 batch (Mechanical), Chairman & CEO Soin LLC, donated 5 cores for proposed multipurpose hall (under construction) at DTU campus. Indian American philanthropist Dr. Rajesh K Soin (alumnus 1969 batch of Mechanical Engineering) donated 5 crores for proposed multipurpose building (currently under construction) at Delhi Technological University. The University administration decided to name proposed building Raj Soin Hall. This is the first time in the history of DCE-DTU that alumnus has donated this large sum. Dr. Soin graduated from Delhi College of Engineering in 1969 ( DTU now) gone to USA for further studies. In 1984, he and his wife Indu established Modern Technologies Corporation ( MTC ), a consulting in engineering, management and technical services for U.S Defence Department. MTC quickly become one of the fastest growing companies in United States named by Inc. magazine and became largest defence contractor in Ohio, before it was acquired in 2008. In 1998, he started Soin International, a holding company with many subsidiaries. Dr. Soin believes in entrepreneur spirit, wants to grow, to accomplish his vision, Soin International act as incubator for new business ideas, and has invested considerably for more than 2 decades. He and his family is involved with various charities, and contributed towards building hospitals and research centres in India and USA. Dr. Soin was the founding trustee and first president of Ohio-India Project and was the recipient of Elllis Island Medal of Honor for his contribution as a mentor, charitable work and exceptional leadership. DCE Alumni Mahesh Joshi 1982 batch, Chief Executive of L&T Valves, Director at L&T Valves, written book recently: Global Business, published by Oxford Press. Global Business with Mahesh K. Joshi and J.R Klein provides insights and observations from academics, practitioners and practical thinkers from around the world. The book demystifies the economic, social, and cultural impact of globalization and how it affects everyone and what is happening in the world. The book illustrates our interconnected global state and provide realistic examination of the topic and invites dialogue on where the world is currently going towards. Prof. P. L. Ballaney Prof. P. L. Ballaney was born on Dec. 1, 1927. He graduated in Mechanical as well as Electrical Engineering in 1952 from Poona University. He completed his Master’s degree M.S. (Mechanical Engineering) from Michigan State University, East Lansing, U.S.A in year 1960. Prof. Ballaney joined Delhi College of Engineering (then Delhi Polytechnic) in the year 1959 as Sr Lecturer, and became Asstt. Prof. in 1963. He was made Professor in 1965, which he continued till 1985 when he superannuated. He was Head of Mech. Engg. Deptt. and was Dean Faculty of Technology University of Delhi. Prof. Ballaney contributed immensely to the learning of Mechanical Engineering subjects through his books which are particularly suited for Indian environment. He authored books on ‘Thermal Engineering’, ‘Theory of Machines’, ‘IC. Engines’, ‘Applied Thermodynamics’, and ‘Refrigeration and Air-conditioning’. All the books were approved by National Book Trust of India and were recommended text books in engineering colleges throughout India. The books are popular even now and have seen many editions and scores of reprints. Prof. Ballaney is one of the Founder Members of ISHRAE (Indian Society of Heating, refrigeration and Air-conditioning Engineers) and had been its President also. He is Fellow of Institution of Engineers (India). Prof. Ballaney was also honoured with “The Best Citizen of India Award” by International Publishing House. DTU Ranked 5th Best Engineering College in India Today 2015 Survey. Mr. Vijay Shekher Sharma, Founder and CEO, Paytm on how Hotmail founder Mr. Sabeer Bhatia influenced him to move towards entrepreneurship. Ankit Pannu, polymer science and chemical technology engineering batch of 2016 DCE. Took 2 attempts at UPSC ,cleared UPSC in my 1st attempt with AIR 444 in UPSC 2016 and cleared in 2nd attempt with AIR-31. My Father is in Delhi police (assistant sub inspector). Mother is housewife, my younger brother has done statistics hons. From kirorimal college in 2017. My schooling is from Modern public school, Shalimar bagh. DCE/DTU's most crucial contribution was providing me the exposure which helped me analyze better career options. Inspiration from seniors who had qualified UPSC was also a motivating factor. I would like to thank my parents, my peers and the entire DCE family for their love and support. Thank you and God bless you all. Mr. Praveen Sinha, the Former alumni of DTU and the current CEO of multi-million dollar worth online shopping portal enlightened the budding entrepreneurs about the need to evolve with changing business scenario to stay in the competition. Delhi Traffic Police chief Muktesh Chander makes people sway to magic of his flute. Back in 1990s when so called new age private sector banks were beginning to find their feet, Manish Khera, DCE alumni, who joined ICICI'S corporate banking realised the future may lie in technology. DTU Cricket Team won the Inter University Cricket League 2015 and was the finalist at Maulana Azad Medical College and Ambedkar University. Arun Sehrawat 2014 DCE batch pass out electrical engineering and he qualified Civil service examination 2016 exam with AIR 320 in 2nd attempts. Was recommended as a pilot in Indian defence forces but started preparing for upsc after college right away.My father runs a school in Delhi and my mother is a homemaker. My Schooling from Delhi only - St Francis de sales school and Nav Uday convent school. I would like to thank my parents, my peers and the entire DCE family for their love and support. Thank you and God bless you all. Interview excerpts from DT : DT: How was your journey after you graduated from college in 2014? What made you appear for civil services examination? AS: The challenges, the opportunities and the work diversity that a civil servant gets to experience was enough to make me want to clear the Civil Services exam. College taught me many lessons about life, and I started my preparation as soon as I finished my graduation in Electrical Engineering. Two attempts, and great post-college learning experiences later, here I am, at the peak of my journey. DT: Ideally, how much time is required for preparation for the Civil Services Examination? What role does coaching play in preparation? AS: Quantitatively speaking, one year is the average amount of time most students require to meet the requirements. When it comes to coaching, it acted only as a facilitator for my preparation. Much of my time was devoted to self study. Actor Sushant Singh Rajput talks about his life and acting career in HT Brunch Personal Agenda section. Mr. Ratan Kaul, an alumnus of 1963 batch of Delhi Polytechnic has just released his second novel “The Full Circle: A Saga of Unrequited Love”. Mr. Muktesh Chander, Special Commissioner of Police (Traffic) was appreciated for supporting the cause of Organ Donation by successfully connecting 3 donor organs to their recipients. I started studying for this exam in 2015, joined no coaching but dedicated self-study helped me clear the exam, I'm a native of UP. My father is a gazetted officer, mom a homemaker and sister a teacher, they have been a pillar of support and motivation throughout. I did schooling from St. Thomas school & Vivekananda school. My time at DTU was immensely enriching. I thank you all for your best wishes & hope to give back to the society, the best way I can. Mr. Ratan Kaul launched romance novel “Wings of Freedom” at Oxford Book Store, Cannaught Place! Mr. Ratan Kaul, alumnus of 1963 batch of Delhi Polytechnic introduced a romance novel "Wings of Freedom" during launch event at Oxford Bookstore, Connaught place, New Delhi on Feb 4, 2015. Shri jawhar Sircar, C.E.O Prasar Bharati was the chief guest and Guests of Honor included Ms. Tara Gandhi, granddaughter of Mahatma Gandhi. There was a launch earlier also at the Constitution Club on Nov. 20, 2014. • THE HINDU: Click Here! • Indiainfoline: Click Here! • Metroreader review: Click Here! Anand Vardhan, mechanical engineering batch of 2013, DCE. Took four attempts at Upsc and cleared in fourth attempt with AIR-7. My father is serving in the Indian Air Force and my mother is a homemaker. I did my schooling from various places. I have also worked for 2 years as a Business Analyst. I would like to thank my parents, my peers and the entire DCE family for their love and support. Thank you and God bless you all. Akash Sinha Featured in Hindustan Times dated 1st November 2014 ! Akash Sinha – 2001 Batch Electrical Engineer from DCE featured in Hindustan Times – “The age of drones: Flying high from war-torn Iraq to riot-hit Trilokpuri” dated 1st November 2014! Maruti appoints RS Kalsi as head of domestic sales! News Published in leading Daily Newspaper: Business Today: September 18, 2014 – Read Here ! Economic Times: September 19, 2014 – Read Here ! The Hindu - Business Line: September 18, 2014 – Read Here ! Live Mint: September 18, 2014 – Read Here ! Financial Express: September 19, 2014 – Read Here ! Muktesh Chander, Special CP for Traffic (Delhi) featured in The Asian Age! Our alumnus Muktesh Chander 1983 B.E. (Electronics and Communication) Engineering Batch, currently Special Commissioner of Police for Traffic (Delhi) playing his flute at the launch of his album titled Nostalgic Flute Magic , launched by NGO Routes 2 Roots.
" Shri SM Mahajan, DCE Alumni 1970 Mech batch and Vice President of DCE-DTU AA was conferred with a "Life Time Achievement Award" for his extraordinary & significant contribution to the growth of welding industry in the country and bringing the global players & Indian industry closer as also for his exemplary initiatives of welding skill development in the country specially in the North East parts . DMRC director (electrical) Satish Kumar hands over a special key, received from ABB in Finland, to DMRC Managing Director Dr. E. Sreedharan on Tuesday. Kumar Harsh, Mechanical Engineering student, DTU batch 2011-2015, has earned himself an All India Rank 43 in the recently declared UPSC results. Harsh cracked the prestigious UPSC exams in his first attempt, making his alma mater proud of his achievements. It is pertinent to mention that this young engineer has made it to the elite services at the age of 22 years. Harsh completed his schooling from St. George's School, Alaknanda, New Delhi. After completing his HSC in 2011, he joined DCE DTU to pursue mechanical engineering and appeared in UPSC during the final semester of his course at DCE DTU.Harsh has keen literary interests that draw him to to reading and poetry. He runs his own blog to publish his poetry at www.harsh3893.blogspot.in. It is noteworthy that his poetry has been published across various literary magazines. He is credited with establishing the Quizzing and Literary Society at college. An Accenture Consultant and DCE passout Mr. Harshdeep Jolly, relives his life on the IIM-B Campus in a fresh novel. The book takes you on a journey into the lives of the author and some of his friends. It has a youthful fresh approach and gives a glimpse of the life on the campus. The official website of DCE Alumni Association was launched on 3rd December, 2005 at a function organized at India Habitat Centre, New Delhi. Clean Technology Solution Earns DCE-DTU Alumni laurelsIt is a proud moment for the entire DCE-DTU Alumni Association as one of our alumni Mr AK Chaudhary and his team at Tata Consulting Engineers Team (TCE) has been awarded for their exemplary efforts and creative thinking towards Fuel Gas Desulphurization (FGD), a clean technology project. The team won the coveted title at Tata InnoVista 2014 – Promising Innovation Core Process wherein over 1,000 entries were received from all over the world. FGD aims at segregating sulphur dioxide from fuel gas exhausts of coal-fired thermal power plants. TCE has earned its share of goodwill in offering one-of-its-kind innovative solutions across industry domains. Let us together wish Mr Chaudhary and his team luck for their incredible achievement and success to take forward this noble endeavors to new heights. Hindustan Aeronautics Ltd is embarking on new partnerships with global aviation majors for military and civil projects with an eye on trebling the turnover to $3 billion by 2011, according to its Chairman, Mr Ashok K. Baweja. The defence PSU expects to cross the Rs 7,000-cr mark this year. For 2005-06, it posted a turnover of Rs 5,375 crore at a growth rate of over 18 per cent. It's a proud moment for DTU as Chetan Kakkar, final year student of IT department, has earned a plum deal from tech giant Google worth $1,90,000 or INR 1.27 crore per annum. He is all set to join Google campus in California after completing his education in 2016. He has surpassed the earlier record of highest paid salary package of INR 93 lakh. Anil Kumar Sardana, managing director, North Delhi Power (NDPL), has been conferred the ‘Asian Power CEO of the Year Award’ for 2006. The Asian Power Awards are the industry’s leading awards independently judging the best in the power industry in Asia and are held in high esteem by the industry.